The clocks have changed, spring is here...kind of, and festival season is a'brewing. As much as we're excited to wave goodbye to the winter months, we can't continue without looking back on how brilliant March was for live shows. There aren't many artists who'll have fans camping out over night for them, but Niall Horan is one of them. The ex-One Direction star came to O2 Academy Brixton and O2 Apollo Manchester in March as part of his headline UK tour in support of new album, Flicker and the excitement levels from fans were some of the highest we've ever seen. 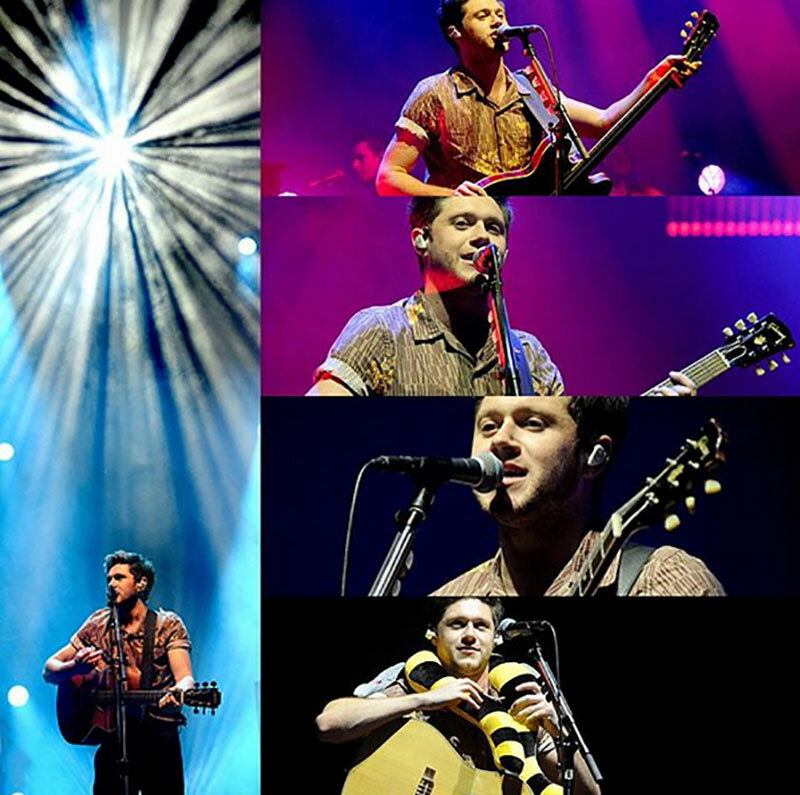 Inside the venues, the screams coming from the crowd were proof enough of how unforgettable the shows would be, not to mention the fact that he performed two One Direction songs. If that wasn't enough to play with your emotions, while in Manchester Niall explained that he had spoken to Ariana Grande before he stepped on stage and he had a toy bee with him all night as a mark of respect following the terror attack that took place last year. As soon as it was announced that Anderson .Paak would be putting on a very special performance at O2 Academy Brixton for Apple Music the world of social media erupted with joy. With one of the most impressive stage displays we've seen so far this year, (a giant open mouth), it was evident from the beginning that this wasn't going to be just any normal show. Joined by The Free Nationals, he funked his way through the jam-packed setlist, with the biggest surprise of the night coming from very special guest Dr. Dre, who jumped on stage to perform alongside Anderson Paak.! Genuinely a show that will be remembered for years to come. A decade on from when they first performed at O2 Academy Brixton and Brit-rock band Feeder were back with a setlist that would make any fans weak at the knees. Celebrating the hits that have seen them through their sixteen-year career, the two-hour set saw mass sing-a-longs, a whole lot of air punching and some very energetic people down the front. Naturally, songs such as 'Just The Way I'm Feeling', 'Buck Rogers' and 'Seven Days In The Sun' earned the loudest of responses, but nothing could quite compare to the cheer when the intro to 'Just A Day' filled the room. Have you ever heard 5,000 people scream "DO-DO-DO-DO" at their top of their lungs? It's quite the moment. Followed by a confetti explosion, the performance was rounded off in style and the singing continued way down into the tube station once the venue doors had closed. Having won the BBC Sound of 2018, Sigrid has already had an amazing start to the year and after her fun-filled performance at O2 Shepherd's Bush Empire, she's like a bubble ready to burst with joy. Hopping onto the stage, the young starlet instantly captivated the crowd and it's hard not to fall in love with her vibrant dancing and even bigger voice. The chart-smashing 'Don't Kill My Vibe' saw everyone up from their seats and dancing along, whilst recent pop banger 'Strangers' became the standout moment of the show. Overwhelmed with the importance of the night and with her family in the audience, Sigrid shed a few tears, but finished the song in her own unique way. It may have been a last minute announcement, but that didn't stop people piling into O2 Academy Brixton on a cold Tuesday night to see Migos. The show, presented by Wireless festival, was the ultimate festival warm-up, with bodies flying as dancing and mosh pits ensued. Recent singles 'Walk It Like I Talk It' and 'Stir Fry' received a phenomenal response and the energy from both band and crowd will be hard to match. 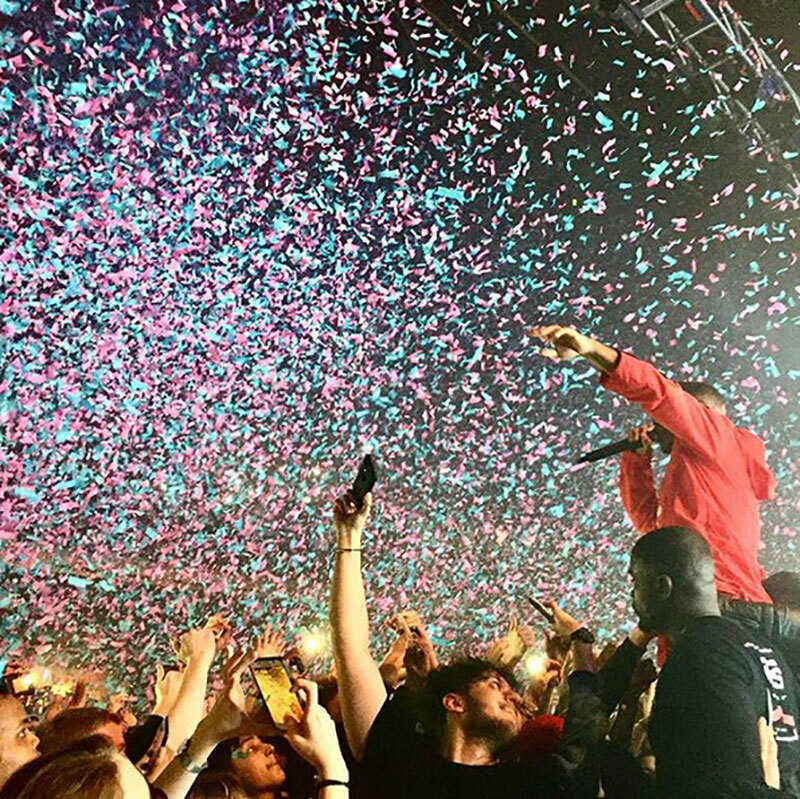 With it being such a rare show, people from all over crammed their way in, including rap duo Krept & Konan, who were spotted having an amazing time amongst the crowd. Speaking of which, we couldn’t keep Krept and Konan away from our venues as they took over O2 Forum Kentish Town with an amazingly high-energy performance. From the moment they exploded onto the stage with ‘No Smoke’ they had the crowd in a frenzy, jumping as high as the ceiling whilst the duo hyped them up over and over again. The backdrop of narrating videos and animations added a magical aspect to the performance, but nothing could quite compare to the special guest on the night. London’s very own, Stormzy bounced on stage to perform a version of ‘Ask Flipz’, the building shaking in response as some of the most important voices in UK grime gave a performance people won’t forget for a long time. Some might say that Stefflon Don is the new queen of grime and quite rightly so. Her performance at O2 Forum Kentish Town could easily match those found in arenas, with backing dancers and screens hyping up the crowd more and more as the night went on. 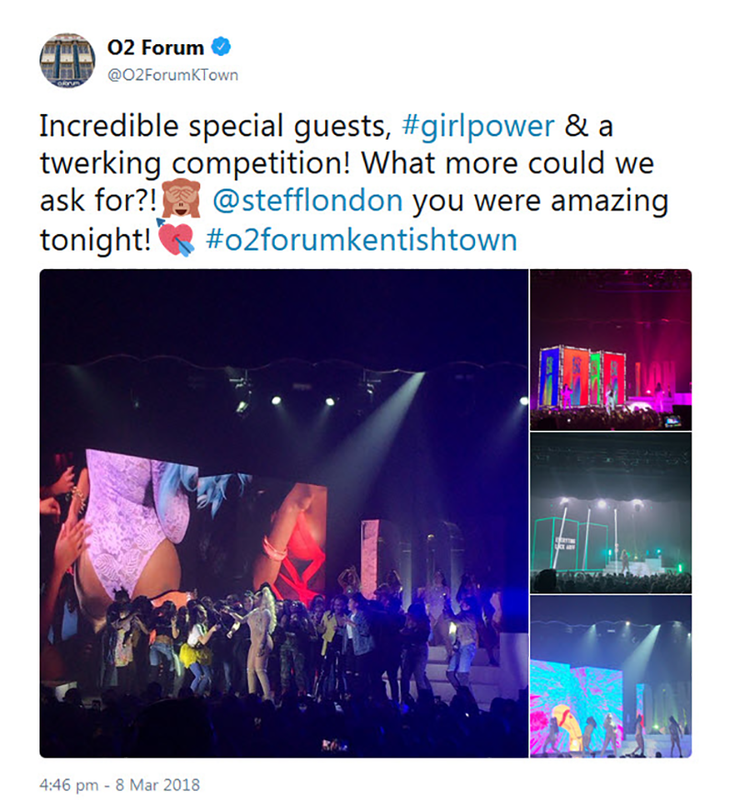 As it was International Women's Day, she was all about the girl power, bringing fans on stage for a twerking competition (yep, really) and generally sharing a lot of love and passion for everyone in attendance. Stefflon Don has made a lot of friends on her way to the top, so it was only right to bring some of them out on stage with her. Mabel, Raye, Krept & Konan (those guys again! ), Fekky and Ms Banks all made an appearance, which as you can imagine, sent the crowd absolutely berserk. Celebrating 10 years since their seminal record, Midnight Organ Fight was released, Scottish favourites Frightened Rabbit embarked on three very special shows, which saw them perform the album in its entirety. Though they also snuck in some of their hits from across the years, it was the album tracks which earned the loudest sing-a-longs, with many people unleashing the emotion that Frightened Rabbit do so well at creating. There was a deep connection between band and fans throughout, that much is true, with both finding the live show a cathartic experience. 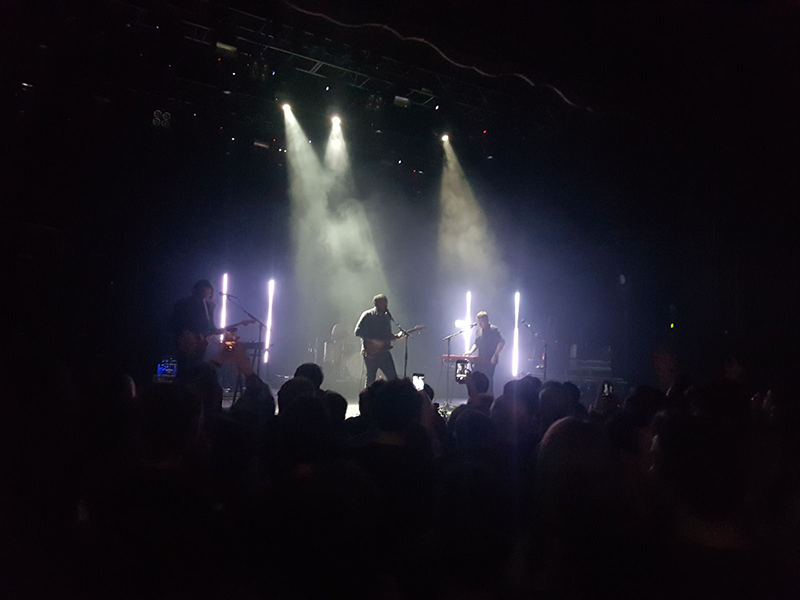 Album celebrations are always special shows, but for Frightened Rabbit fans, this is something they've waited a long time to be a part of, and they definitely weren't disappointed. 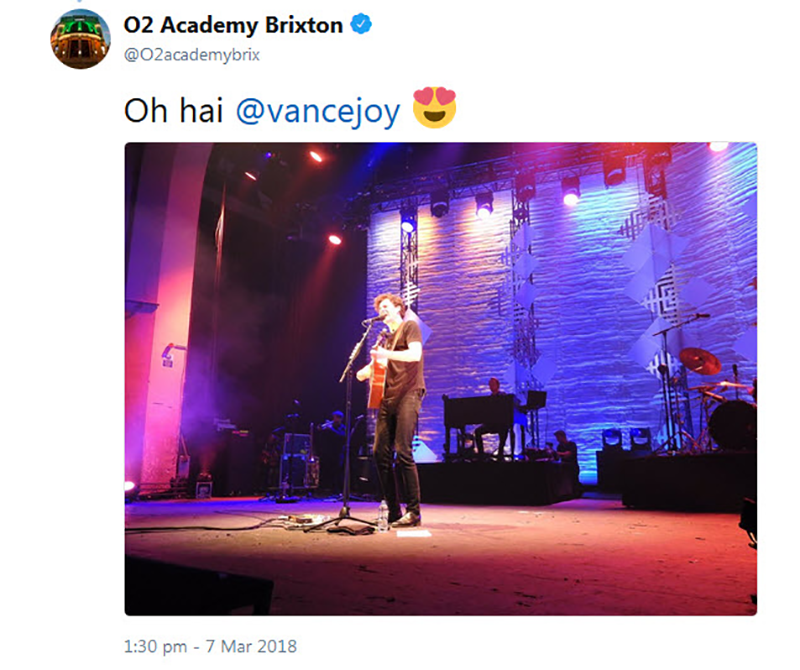 Vance Joy has been making waves with his delightful acoustic-pop music since his single 'Riptide' became a staple in everyone's summer soundtracks, including Taylor Swift's. Making the long trip over to the UK, the Australian singer-songwriter had his headline shows upgraded and saw them sell out one by one, the rooms packed with screaming fans and lovesick couples. Creating a chilled atmosphere, all we needed was a beach for it to become the perfect performance. Working his way through tracks from his much-loved debut Dream Your Life Away, as well as recent release Nation Of Two, Vance even threw in a shouldn't-work-but-it-does cover of Lionel Ritchie's 'All Night Long' and Justin Bieber's 'Sorry'. Now that is something you don't see at shows every day. 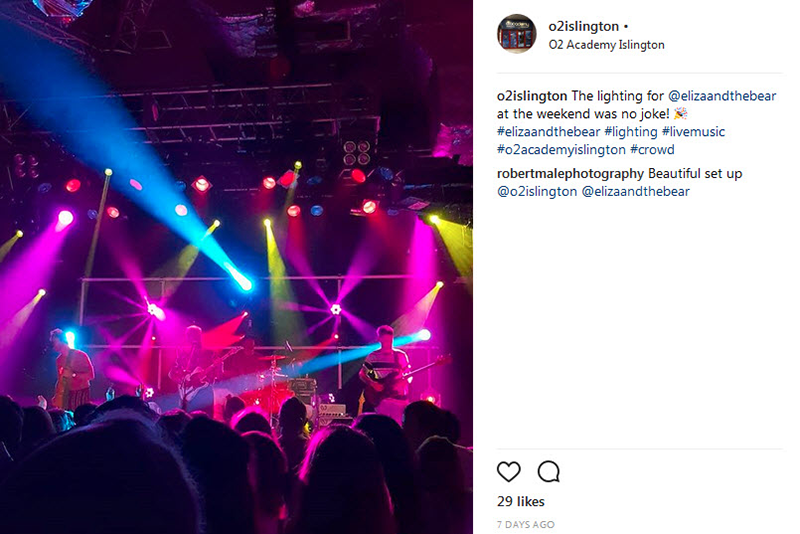 As spotlights shone upon each band member, the excitement bubbling in the room was infectious, and as soon as the beat for ‘Higher’ dropped it was like a burst of sunshine in the O2 Academy Islington room. Eliza and the Bear embody everything there is to love about summer, from the songs to the shirts and that unbeatable festival feeling, making the cold London night a whole lot more bearable. From beginning to end, the crowd knew every word to every song, chanting loud and swaying away throughout, with the band making a warming and friendly atmosphere with their upbeat spirits. Their well-loved hit ‘Friends’ wrapped the evening up in the best way possible and with word that a new album is to come, we can’t wait to see them next time they come to town. Ace ventura had us hooked when he showcased Cannibal Corpse back in his 90s screen gem and the death metal titans are still tearing up venues across the UK to this day. With an arsenal of violent themes and pounding riffs at the ready, Cannibal Corpse gave one hell of a show, with crowd members moshing, windmilling and just generally going wild for songs like, ‘Scorge of Iron’, ‘The Wretched Spawn’ and the skull crushing favourite ‘Hammer Smashed Face’. Now that the sun is finally starting to show it's face, we're fully getting into the summer spirit and obviously that requires the perfect soundtrack. With a whole bunch of acts coming through our doors soon, who all deliver sunshine vibes aplenty, you'll be digging your summer clothes out quicker than expected after listening to this lot. With so many huge bands in and out of our doors, it’s easy to forget those bands that are out there, tirelessly working their way up to the top who deserve your attention. This month, we’re putting the spotlight on flor.